If you had to guess, how much do you think Kanye’s head weighs? Not sure on the actual head attached to his shoulders (though it does seem pretty large at times) but this version on a Dublin porch clocks in at a whopping 315 pounds. 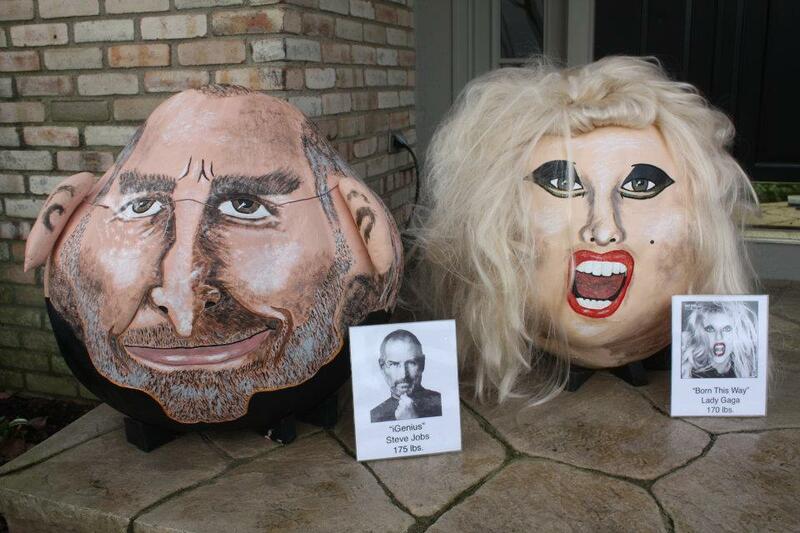 Pumpkin artist Jeanette Paras has been creating giant celebrity pumpkins for 30 years. 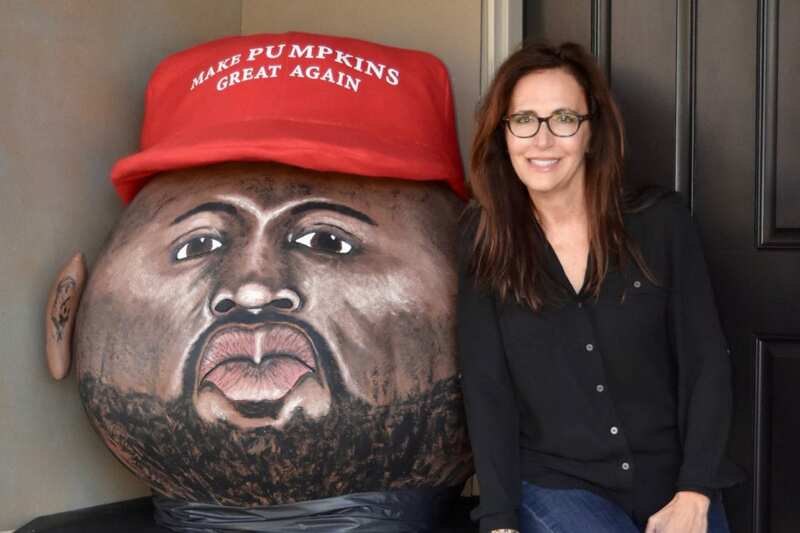 She made nationwide headlines three years ago for her ‘Trumpkin’, a depiction of Donald Trump as a giant pumpkin. This year, she decided to give that honor to Kanye West, in what she’s calling her ‘Pump-ye-kin’. The creation consists of a 315-pound pumpkin with sweet potato ears and a handmade ‘Make Pumpkins Great Again’ hat. Paras spent around 7 hours painting the pumpkin, and even longer creating the hat. PUMPKINIZING PUMPYEKIN from Stacey Stathulis on Vimeo. Once again, her creation is grabbing national attention, with stories about the pumpkin on CNN, Yahoo, and Billboard. 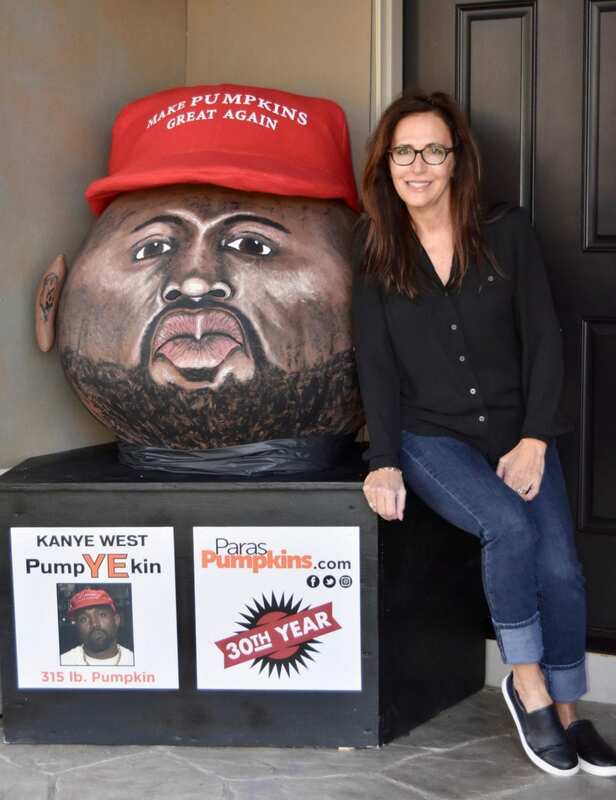 Paras didn’t create the pumpkin because she’s a fan of Kanye, but rather because he’s been a popular topic in the news this fall. In the past, Paras has featured dozens of celebrities, from pop stars like Miley Cyrus and Lady Gaga to TV show hosts like Oprah and Jon Stewart. To view more of Paras’ creations, please visit her website here.